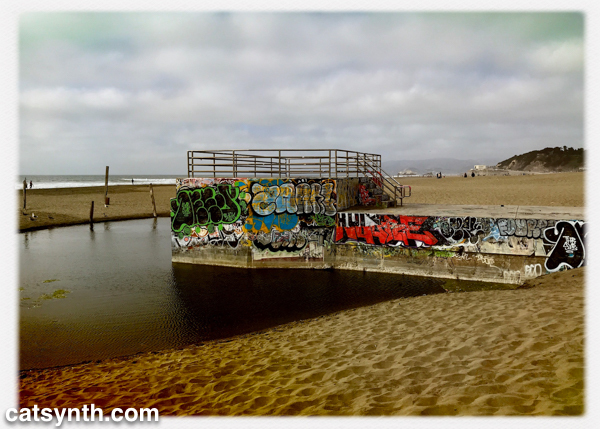 Posted on October 16, 2018 October 16, 2018 by catsynth	This entry was posted in Art, Photography, San Francisco, Wordless Wednesday and tagged Art, graffiti, hipstamatic, ocean beach, Photography, San Francisco, western neighborhoods, Wordless Wednesday. Bookmark the permalink. The pop of color from the graffiti really makes that shot. I have been there and love Ocean Beach. Thanks for hosting and I hope that you have a wonderful week. That is so cool! SO, do the artists stand in the water in order to paint on the wall?